In the coal regions of Pennsylvania, the Blair family has left an indelible mark that can still be observed even today, more than 128 years after the body of Bryce R. Blair was laid to rest. Born in Glasgow, Scotland, on Sept. 21, 1832, Bryce R. Blair set sail for America aboard the packet ship Isaac Wright, arriving in this country in the fall of 1852. 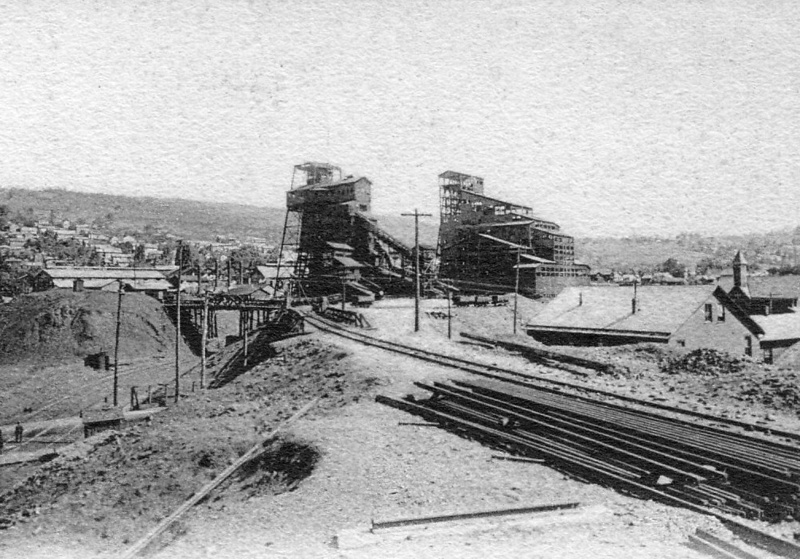 He settled in Carbondale, and before the age of 40 Bryce had erected some of the largest coalbreakers in Lackawanna and Luzerne counties and had laid out a number of local railroads. In February of 1865 he became superintendent of the Nottingham Coal Company. It was Blair who oversaw the sinking of the Nottingham shaft, through forty feet of quicksand, and the construction of the Nottingham breaker, all without the loss of a single life (which was quite a rarity in those days). The Nottingham would eventually become one of the most famous coal mines in Pennsylvania, if not the entire United States. His cousin, Bryce W. Blair, was equally as famous throughout the region, earning his fortune as a civil engineer. 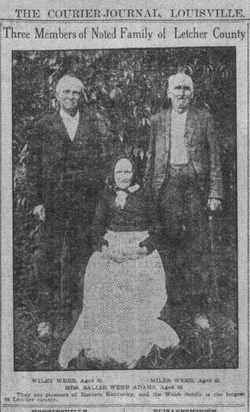 Bryce R. Blair had eleven children, among them a son named Bryce R. Blair, Jr.-- the subject of this story. In 1880, Bryce R. Blair, Jr. headed west to make a name for himself, just as his father and cousin had done in Pennsylvania. For several years he kept in touch with his parents through letters and postcards, until the day came when Bryce seemed to vanish from the face of the earth. The last time anyone had heard from him, Bryce was part of a surveying crew tasked with the challenge of mapping out the territory that would later become the state of Utah. His last letter, written from the Utah Territory outpost of Maryville, was mailed in 1884. In this letter, Bryce told his parents that he would be setting out for Idaho the following day. Eight years then passed, without a single letter from the pioneer son. During this entire time, his mother and father wept for his return, until one day Bryce Blair, Sr. decided to place an advertisement in a Salt Lake City newspaper seeking information about the young man who had gone missing. The newspaper advertisement described the young man in minute detail, right down to his weight, physical peculiarities, and even the fact that he was left-handed. Within days word came back to Carbondale that Bryce, Jr. had been located in Lander, Wyoming. Charles Jackson-- The man who located Bryce-- described him to a T, and managed to convince the father without a shadow of a doubt that the fellow in Wyoming was indeed the Scotchman's prodigal son. The father made the necessary arrangements and traveled to Lander... only to receive the shock of a lifetime. In the sleepy Wyoming town Bryce Blair, Sr. succeeded in finding the individual who had answered to the ad in the Salt Lake Tribune. His heart leapt with joy! This young man was a perfect match-- an exact double-- of the missing surveyor. They shared the same name, the same date of birth, the same weight, the same habits and physical peculiarities-- right down to the lefthandedness. But there was just one problem: Bryce R. Blair, Jr. did not seem to recognize his own parents! Upon further investigation it was discovered that the Bryce R. Blair of Lander, Wyoming, was the son of a Nebraska farmer, and was in no way related to the Blair family of Pennsylvania. Sadly, the missing Bryce R. Blair, last seen in 1884, was never heard from again. Was the Wyoming doppelganger merely a lookalike? Or is it possible that he, for some reason difficult to fathom, intentionally deceived his own grieving parents, telling them that he was not the man they were looking for? The truth may never be known. Scranton Republican, Feb. 18, 1892. Wilson (N.C.) Mirror, May 11, 1892. Wilkes-Barre Times Leader, Feb. 12, 1916. Eugene Guard, May 10, 1893. Pittston Gazette, Dec. 9, 1893.